Myron and Jason had a great time during their three day fishing adventure. 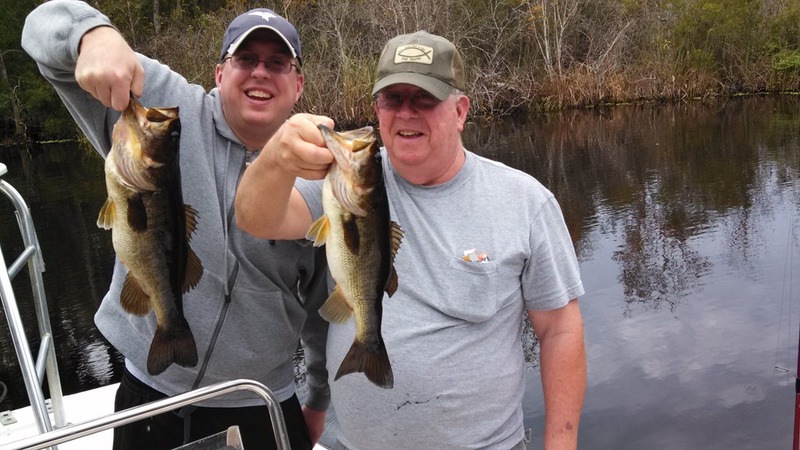 They fished on St. Johns River which is located around the Daytona area. This picture is of one of the doubles they caught while on St. Johns River. They caught over 30 bass the first day, and around 12 bass the second day all on wild shiners. I had an amazing time with Myron and Jason, and cant wait to fish with them again.